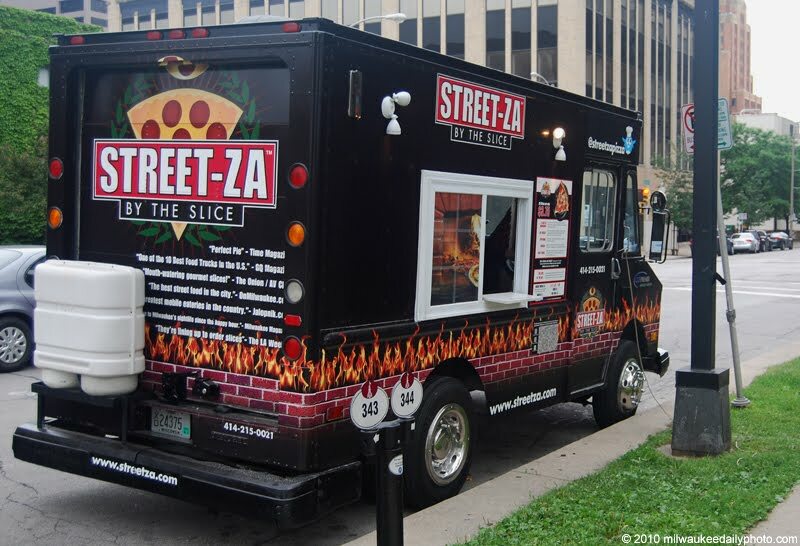 When there's a group of people in need of food, the folks at Streetza Pizza can be found serving up slices of their hand-made gourmet pies. They've been lauded by the locals, and noticed on the 'net. If you want to know where they are, check out Facebook or Twitter, and look them up! Excellent shot. :) Thank you.